For the last 5 years, the club has produced stick-on poppies for our players to wear on Remembrance Sunday. Family and managers have also been able to wear them. This has resulted in over £3000 being raised and distributed equally between the 3 Royal British Legions in Cheslyn Hay, Great Wyrley and Essington for their Poppy Appeal. 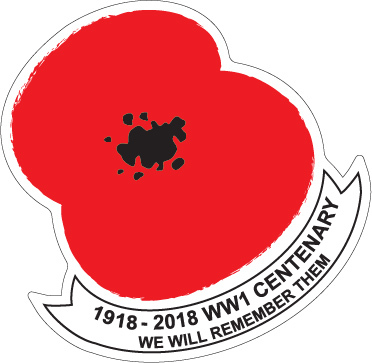 This year marks the centenary of the end if WW1 and with the tremendous help of Bri-Stor Systems Limited and Lee France we have produced new poppy stickers as shown below, that reflects the special date. 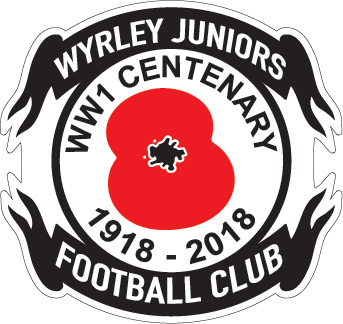 We are looking to sell 1000 of the Wyrley poppies at £1 each to our teams and families and 1000 of the non-Wyrley poppies to any other team that wants them. We are looking to try and sell each poppy and raise £2000 for a wonderful cause. To place orders – please leave a message or comment below.Please share far and wide. Can I order 50 of the wyrley ones please ? Yes Darryl – sorted for you! (sorry just seen this comment). Can you confirm by text to 07836202764 please?